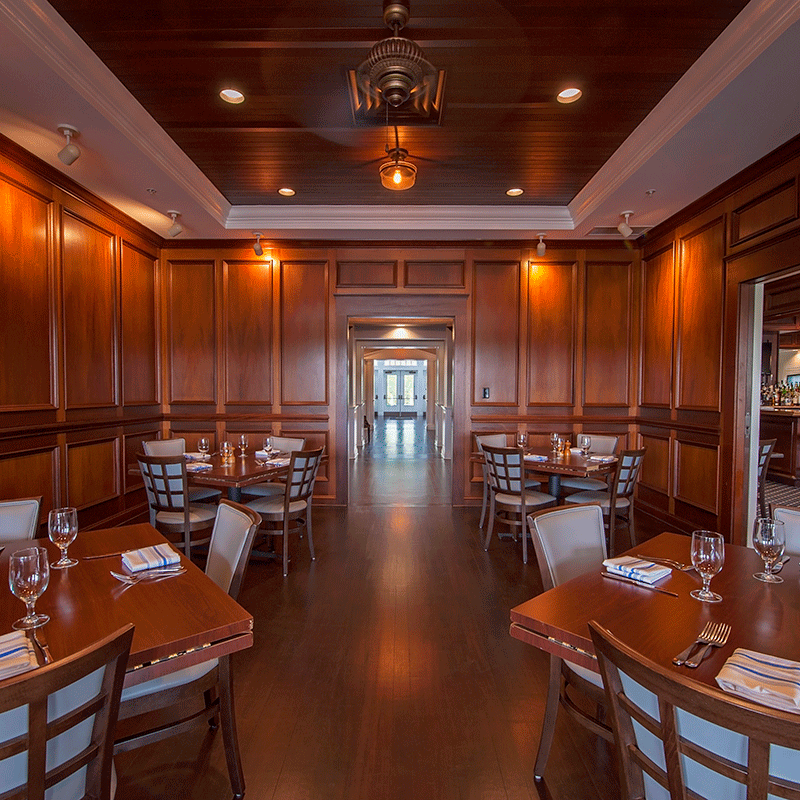 The Clubhouse at Baywood is the ideal place for any kind of event. Whether you are planning a party with friends, a formal luncheon, a celebratory banquet, or a corporate retreat, Baywood is the perfect place. The Clubhouse features 7 different event spaces to accommodate parties of 10 to parties of 220. There is the Banquet facility overlooking the greens that can accommodate up to 220 seated guests, an outdoor veranda that can be reserved exclusively for varying sizes up to 100, a bar lounge perfect for a luncheon, a library for a more intimate affair, a corporate board room perfect for presentations, the pavers on the green, great for a small cocktail reception, and the main dining room. We would love to help plan and host your next event.